I went on a Sunday to have chicken rice at this stall. The owner remembered me. He said, "You were sitting in front of my stall about 2 weeks ago and you were taking pictures then." I was amazed by his good memory. 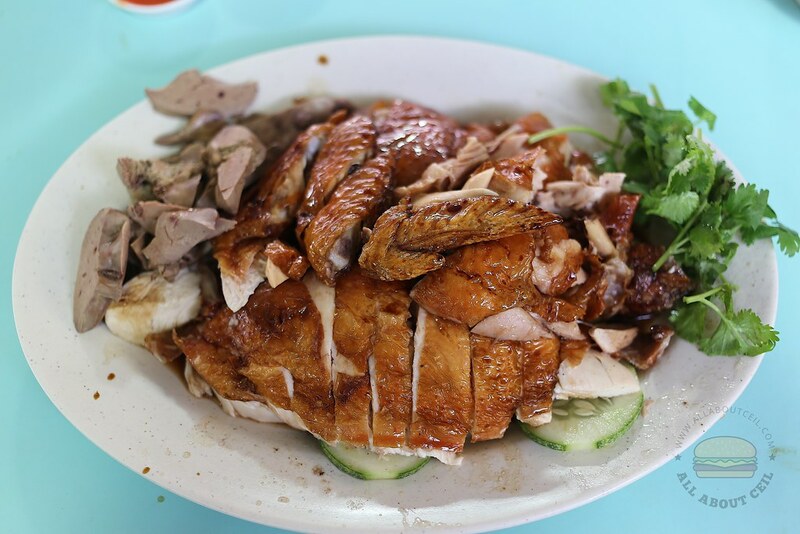 I replied, "I was actually looking for a Hainanese chicken rice stall by the name of 金福 with a red signboard but could not find and only realized much later that it might be your stall." 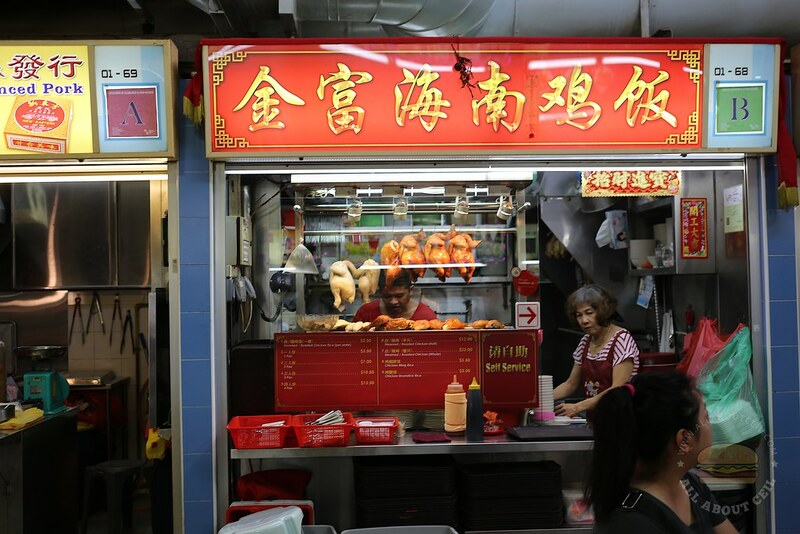 The owner said, "We are located just beside the bak kwa stall." That bak kwa stall is New Eastern Kim Tee Dried Pork & Minced Pork, I bought 500 grams of the original flavor for $24.00 after lunch. I ordered half of the roasted chicken with liver and 2 plates of rice. While waiting for it to be ready, I told the owner that a friend recommended his roast chicken. I asked, "How long have you been running this stall?" He replied, "About 3 years now." I helped myself with the chilli, they do not have the minced ginger paste but the dark sauce is available. I paid a total of $14.00. My dining companion said, "The skin is really flavorful, quite thin with a slight crispiness. The meat is moist but the breast part did not have much flavor." 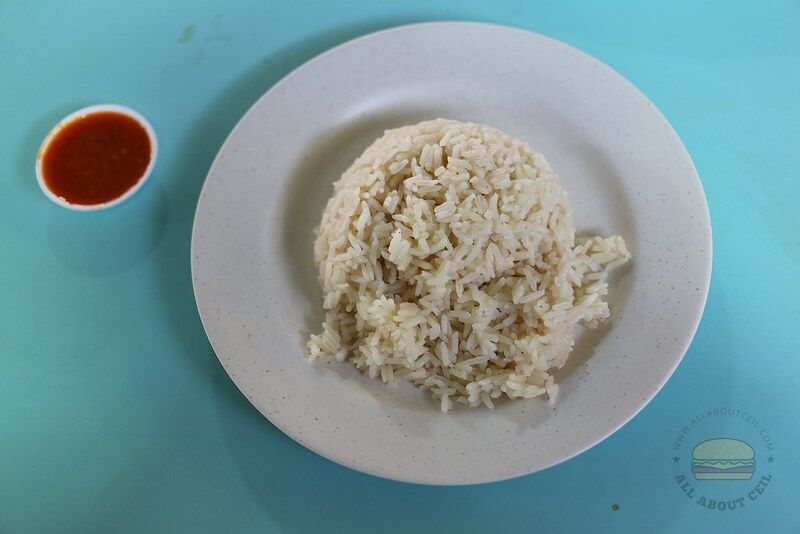 I do like the texture of the rice, it is grainy and not as greasy, it also has a nice fragrance. There was a constant flow of customers and most of these customers ordered the roast chicken too. The taste actually reminded me of another chicken rice stall at Toa Payoh Central which I have been eating quite often. You forgot to mention his soup. He gives out a generous amount of cabbage in it. He used to be a cze char cook before switching. The lightly flavored soup did not come with cabbage. I have forgotten to ask their operating hours. It's from 10am to around 7 plus. I think rest twice a month, could be Tuesday. Maybe that day, the aunty helper dished out all the cabbages before you arrive.